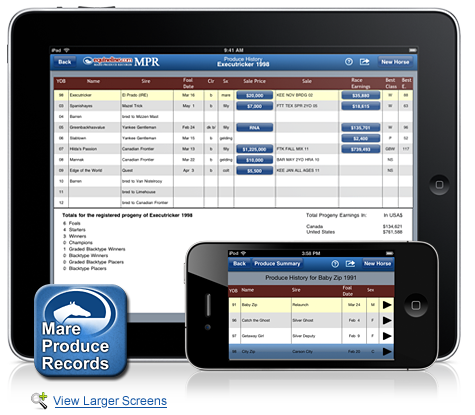 Mare Produce Records Online! 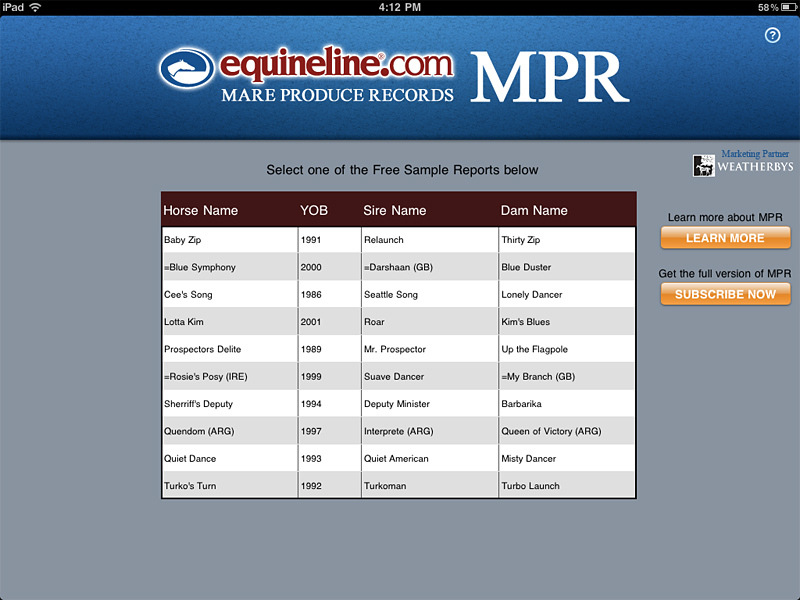 After you purchase an equineline Mare Produce Records app (iPad or iPhone) subscription, and have associated it with an equineline.com account*, then your equineline.com account already has access to the equineline Mare Produce Records Online. No additional subscription is needed! 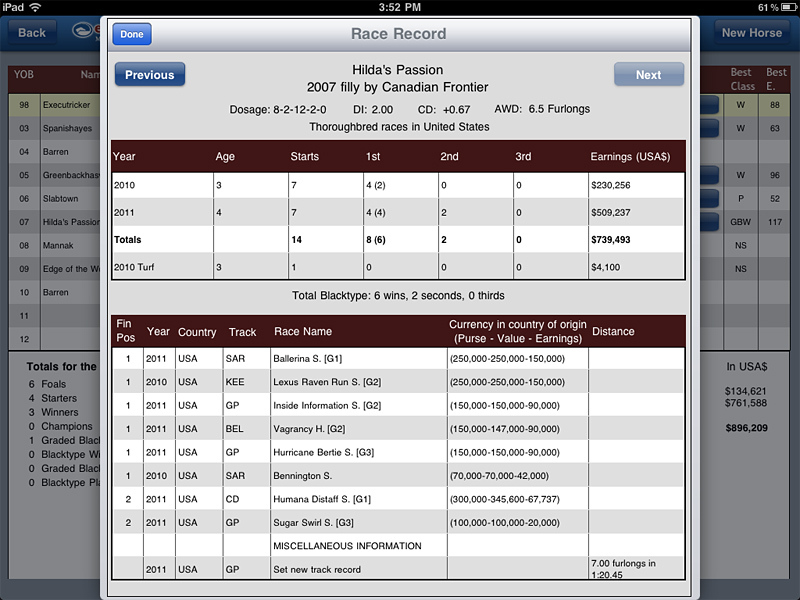 quarterly ($89.99) or annual ($299.99), will provide the most global, accurate, timely and comprehensive mare produce record information available, which can be easily and quickly viewed, emailed or printed. 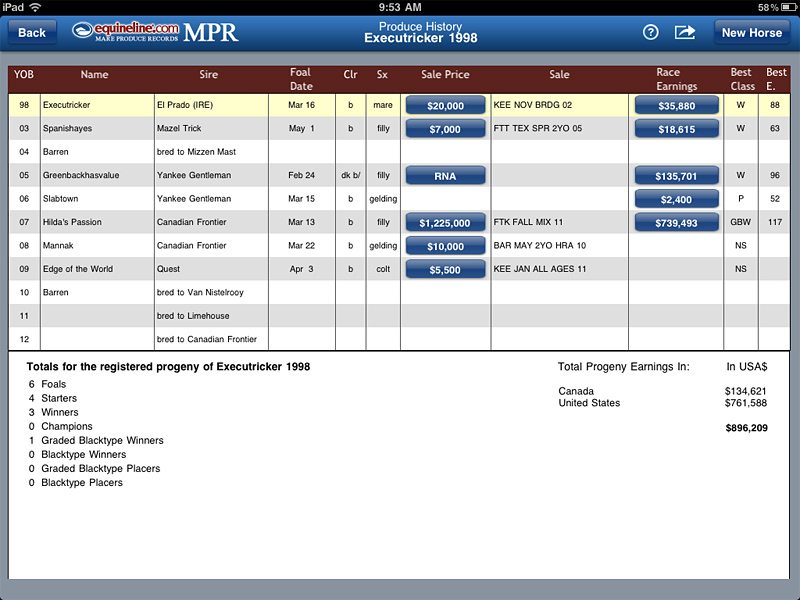 Ten sample mares are also provided in the app. 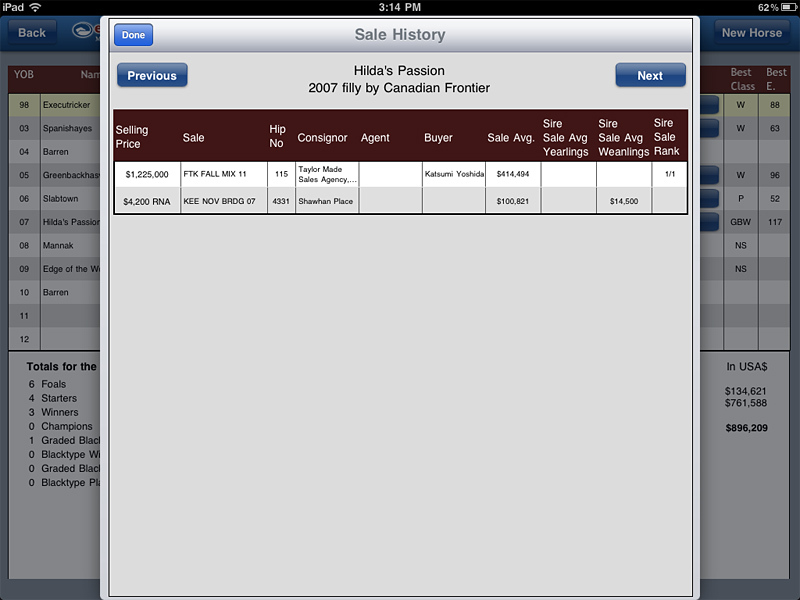 It's only a tap away so download the app and take a look now!